How to get domain transfer authorization code or EPP Key of a domain registered with Unlimitedgb? For transferring a domain name registered with Unlimitedgb to other registrar, you need an authorization key. You can get it from Unlimitedgb. Login to UnlimitedGB's (UGB) Domain control panel Manage.unlimitedgb.com as customer with your Email address and UGB acount password. Click on Manage Orders tab. Select "list/search all orders" option to view the list of domains. 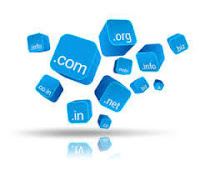 Click on the domain name which you want to transfer. EPP Key or Authorization Code or Transfer Key or Auth Code is required when transferring domains from one registrar to another. This code is an additional layer of security to protect a Domain Name from unauthorized transfer. Auth code is generated when a domain is created. You can find the Authorization Code with in the settings of your domain name on registrars portal. Some times it will not be shown in domain's settings. In such case you should contact the registrar and the Auth code will be sent to the email address registered in that Domain's Contact settings.